aaahhh, sundays. the day of rest, epic brunches and more than likely, leftovers. if you're like me, i usually have a few to-go boxes stacked in my fridge. i don't like wasting food so there's always something to be reheated (and doctored up) to next-day perfection. the go-to for leftover steak is typically steak-and-eggs. i don't blame you, it's delicious, but next time you find yourself with half a filet/strip/cowboy/whatever in your fridge, egg it no further. 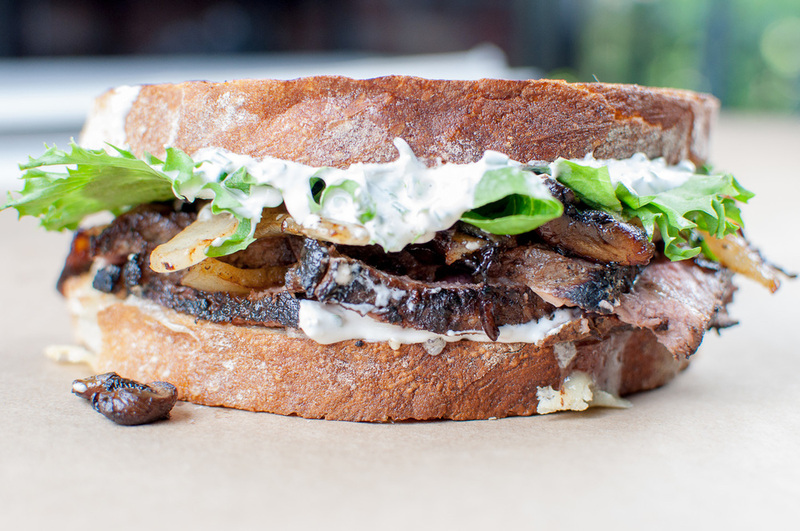 say siañara to the sunday scaries with, behold: the sunday sandwich. Steak: on a lined baking sheet, put your leftover steak under the broiler on HI until it's sizzling, around 2 minutes. Remember, these are leftovers and already cooked to your doneness preference, so make sure you don't overcook it on the reheat! slice steak and set aside for sandwich assembly. horseradish chive cream sauce: If using the root, peel outer layer so white root shows. using a zester or fine grater, grate root until you have roughly 1-2 tablespoons of fresh horseradish. 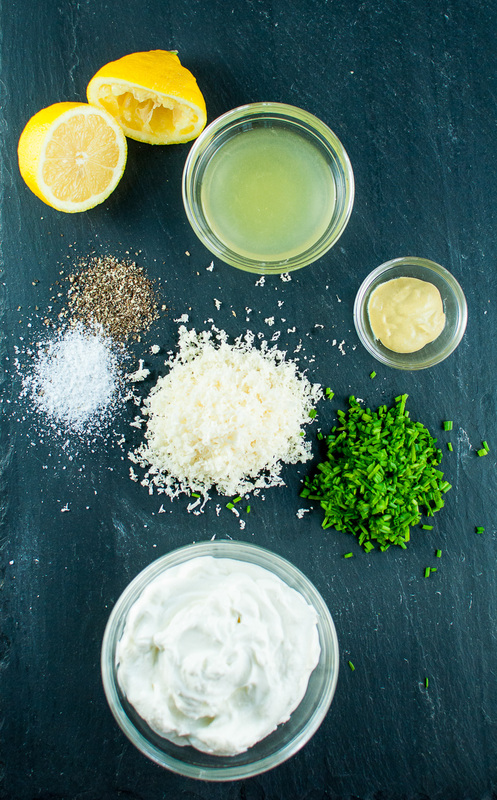 whisk together greek yogurt, horseradish, dijon, chives, lemon, salt & pepper. now remember, taste it to see if you need any more s&p or kick it up a notch with more horseradish. Note, if you can't find horseradish root, you can use the prepared kind in a jar but tasting is key here… the jarred stuff is less potent, so you'll want to add extra to your spice preference. meanwhile, heat a sauté pan to med-high heat, add the butter, onions and mushrooms. Sear these puppies with a little s&p until onions and mushrooms are turning golden on the edges, around 5-6 minutes. Now assemble! Keep that same pan hot, add some butter, and place both slices of bread in the pan. Layer with a slice of swiss cheese and toast until the cheese is melted and bread is nicely crisp and browned. 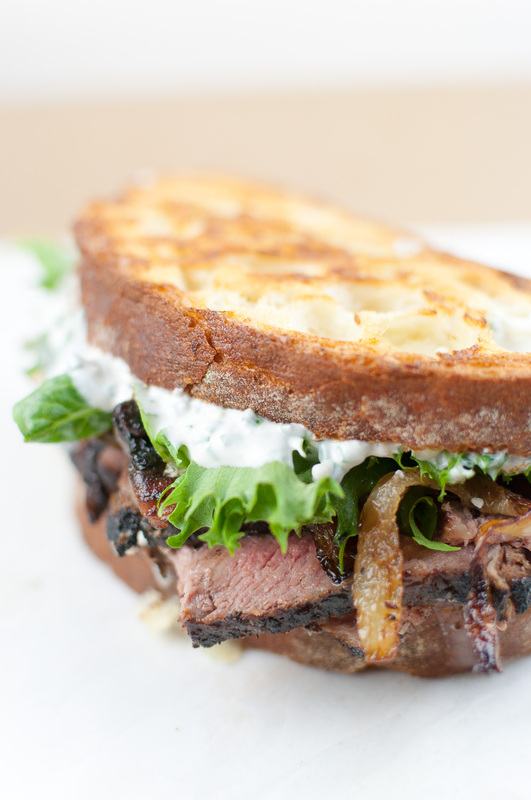 Stack some steak, onions and mushrooms and slather the horseradish chive sauce and top with some lettuce. Now devour and kick your Sunday scaries to the curb.